The Atlantic will surprise you with its large rooms, cozy beds with extra pillows, Aveda bath amenities, and custom-designed maple and stainless steel furnishings. 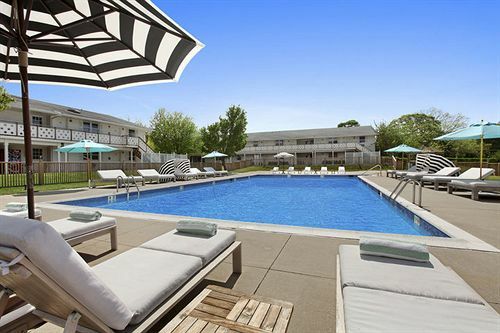 Our Southampton hotel is conveniently located on Route 27, known as The Gateway to The Hamptons. The Atlantic is perfect for all who venture to The Hamptons for a beach getaway, to attend a social event, sport event or wedding. Dogs under forty pounds are also welcome to join us with a small additional fee. The comfort and charm of the property is perfect for large groups of family and friends and features beds so wonderful they're almost as famous as some of the people that find themselves sleeping in them. Want to play? The Atlantic also features two full size tennis courts! If relaxation is more your game we offer plenty of space to lounge around our beautiful outdoor pool. We are located approximately 3 miles from the beach. A limited number of complimentary beach parking permits are available to borrow at the front desk of The Atlantic.